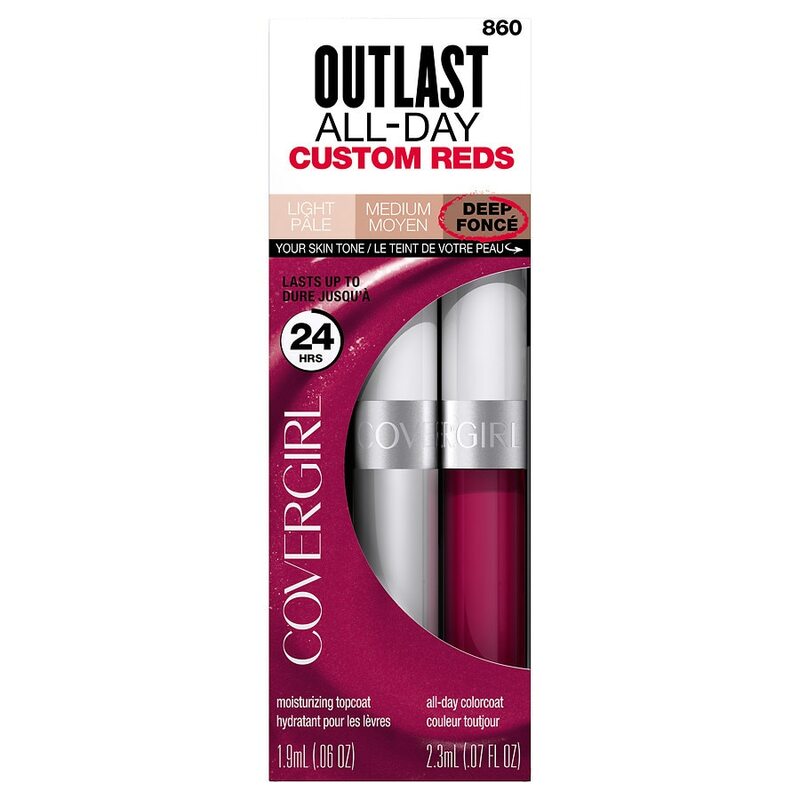 COVERGIRL Outlast All-Day Custom Reds Lipcolor was designed using color science so there are shades of lipstick to complement every skin tone. Find your best red to outlast any occasion - day and night! STEP 1: Basecoat: Isododecane, Trimethylsiloxysilicate, Dimethicone, Disteardimonium Hectorite, Propylene Carbonate, Propylparaben, May Contain/Peut Contenir: Mica, Red 30 Lake, Titanium Dioxide, Red 7, Yellow 5 Lake, Iron Oxides, Blue 1 Lake, Carmine. STEP 2 Topcoat: Sucrose Polycottonseedate, Ozokerite, Beeswax/ Cire D'Abeille, Tocopheryl Acetate, Tocopherol, Propyl Gallate, Propylparaben, Cetyl Glucosamine, Cocos Nucifera (Coconut Oil), Aloe Barbadensis Leaf Extract, Theobroma Cacao (Cocoa) Seed Butter, Butyrospermum Parkii (Shea Butter), Sodium Saccharin, Flavor/Aromas.